Under 1 kg. The 13.3-inch Samsung Notebook 9 Pen focuses on three strengths: weight, brightness, and S Pen support. The end result is a versatile convertible that's noticeably lighter than the competition and with a brighter display for improved outdoor visibility. 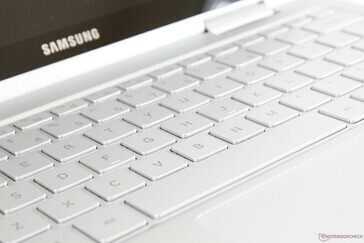 The drawbacks, however, are hard to ignore and worth keeping in mind for anyone considering the $1300 flagship Samsung. 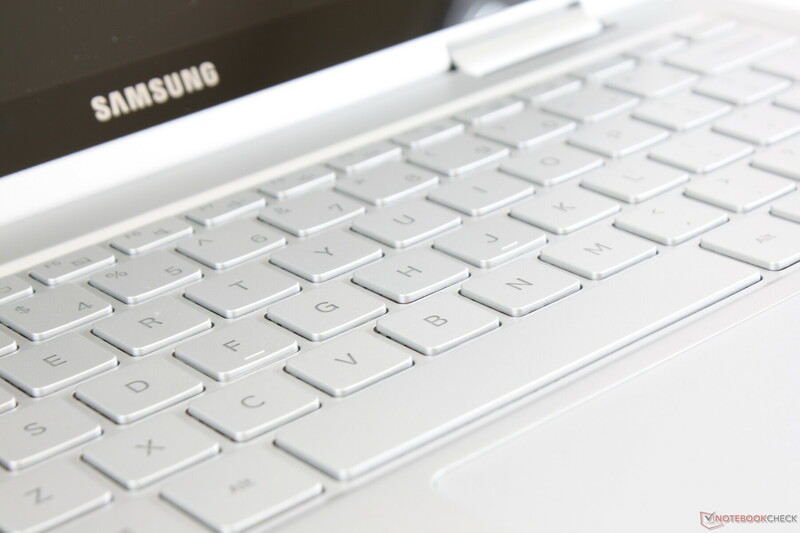 Samsung may be the most well-known brand when it comes to smartphones, but the same can't be said when it comes to laptops. 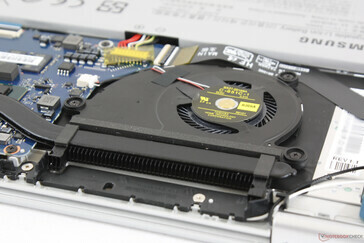 The South Korean manufacturer has a range of Ultrabooks and even gaming laptops that are often overlooked by consumers in favor of Dell, HP, Lenovo, and others. 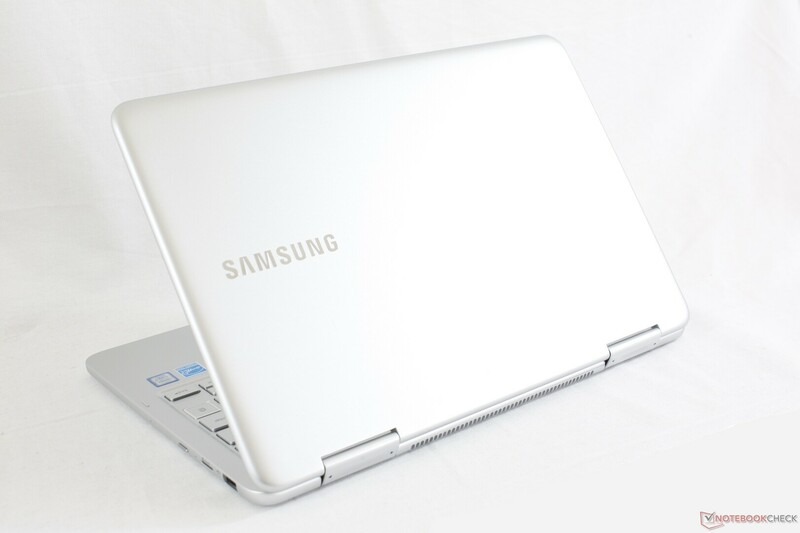 It's a shame because Samsung laptops tend to offer some unique advantages over the competition that home and office users may appreciate. 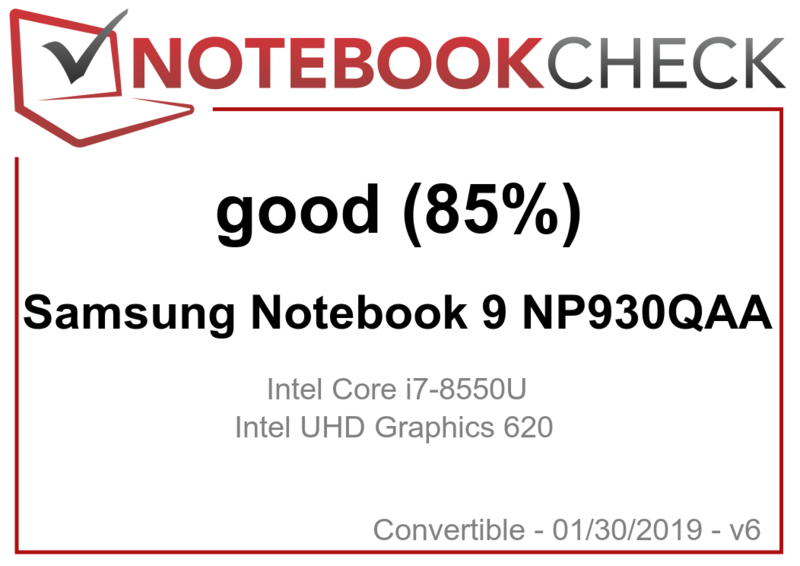 Our review today focuses on the high-end 13.3-inch Notebook 9 NP930QAA convertible equipped with a Core i7-8550U CPU, 1080p touchscreen, 256 GB M.2 PCIe SSD, and 8 GB of RAM for $1300 USD. There are no other SKUs available for U.S. customers other than the one we have here. 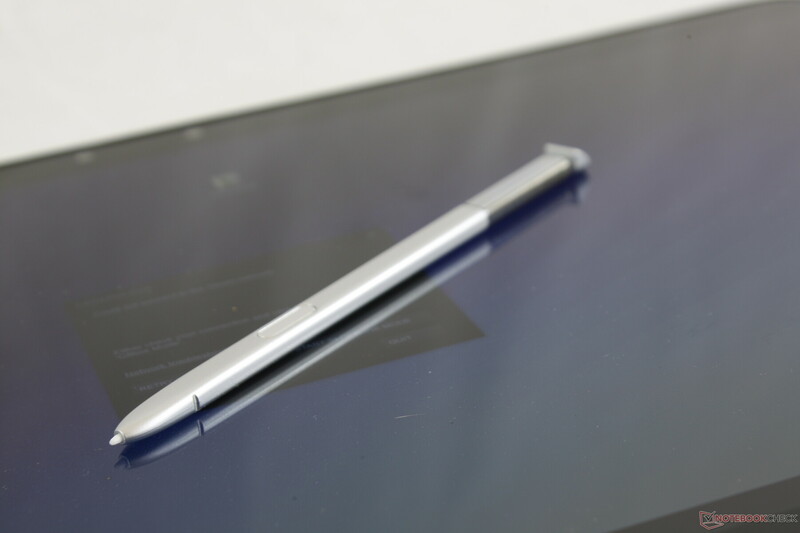 The NP930QAA is notable for integrating the S Pen stylus while being extremely lightweight. 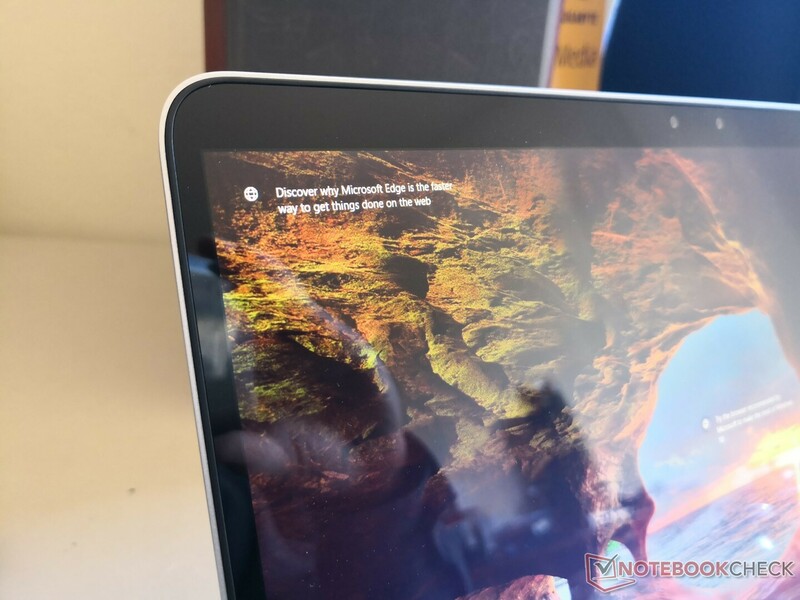 Direct competitors include other 13-inch convertibles such as the Dell XPS 13 9365 2-in-1, HP Spectre x360 13, HP EliteBook x360 1030 G3, Lenovo Yoga C930, Acer Switch 7. Lenovo Yoga 730, and the ThinkPad X380 Yoga. 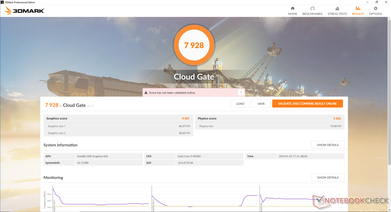 The chassis design is nearly identical to the 2017 Notebook 9 NP900X3N and so many of our existing comments on the NP900X3N still apply here. The NP930QAA can be thought of as the convertible variant of the otherwise traditional NP900X3N. When closed, the chassis looks almost indistinguishable from the NP900X3N. 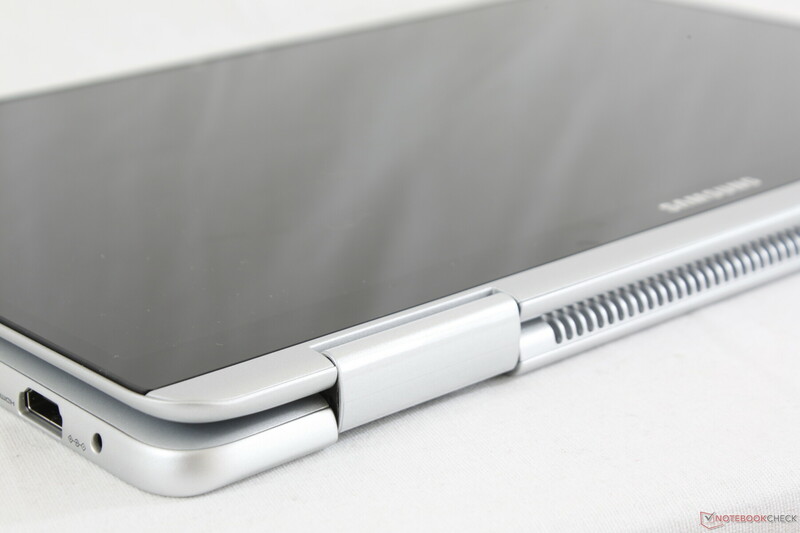 The magnesium alloy surfaces remain and so does the matte silver color scheme. One notable change, however, is the new edge-to-edge glass overlay in order to support the touchscreen. This adds a bit more weight to the system, but the glass reinforces the lid for increased rigidity over the NP900X3N. 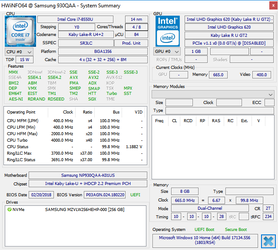 Base rigidity is stronger than the LG Gram 13 but still weaker than both the Spectre x360 13 and XPS 13. 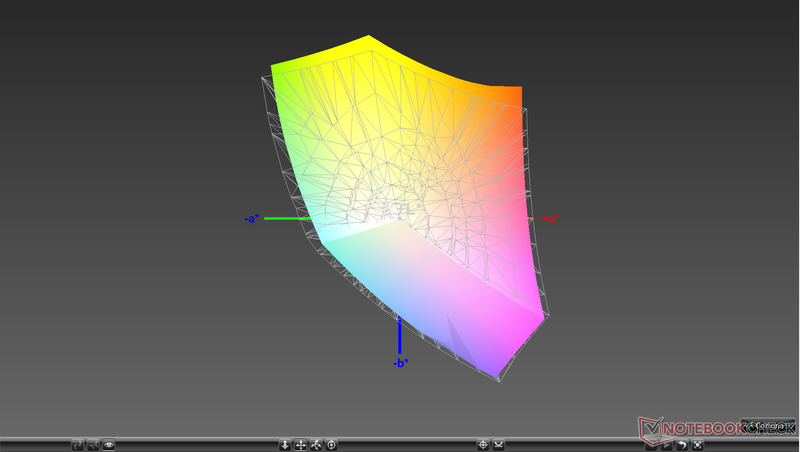 Attempting to twist the base results in slightly more warping and creaking than on both the aforementioned Dell and HP. 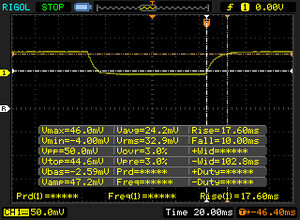 The keyboard center also warps more easily from applied pressure. The more flexible chassis here is the price to pay for having such a lightweight design. Construction quality is excellent from top to bottom with no unintended gaps or defects on our test unit. Hinges are uniformly firm and do not teeter when typing. One improvement we would make is to increase the grip along the front edge of the laptop as it is difficult to open the lid even with two hands. 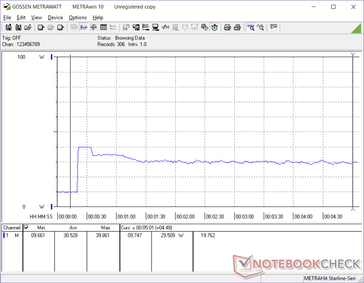 At just under 1 kg, the Notebook 9 NP930QAA is one of the lightest 13.3-inch convertibles available by several hundred grams over the competition. 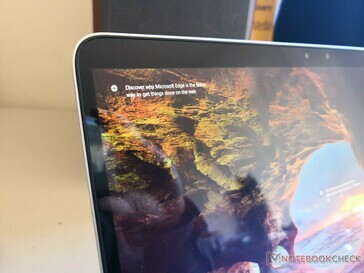 It even manages to weigh less than the XPS 13 2-in-1 while also being much faster. The super lightweight LG Gram 13 comes closest to our Samsung in terms of portability, but it lacks the versatile 2-in-1 form factor. 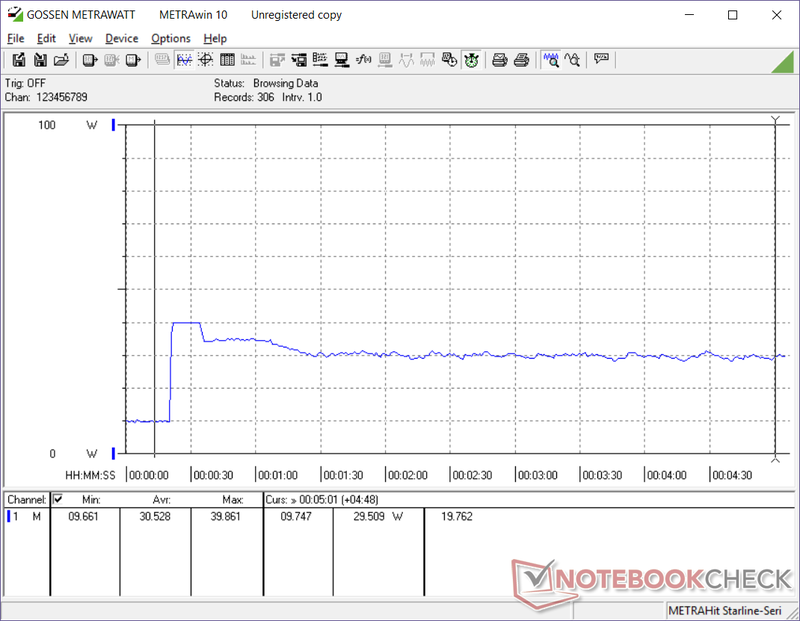 Available interfaces are the same as on the Notebook 9 NP900X3N albeit with one less USB 3.0 Type-A port. 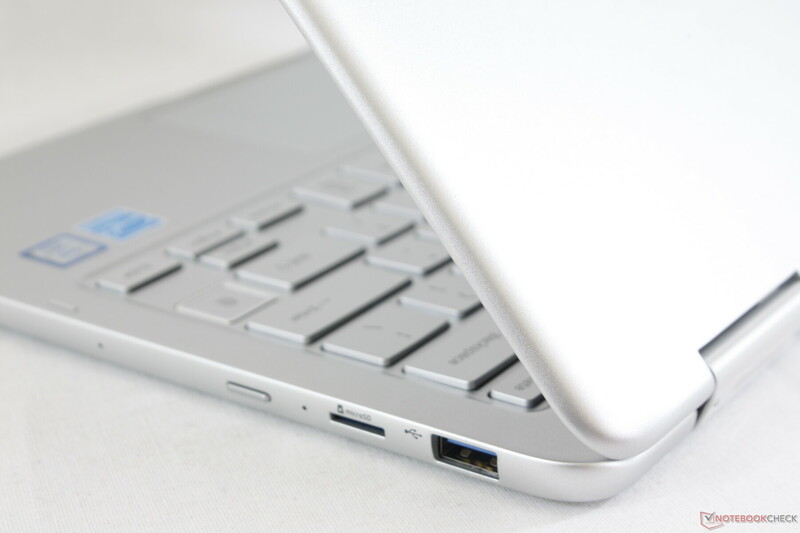 Users can recharge the laptop via USB Type-C even though the proprietary AC adapter port remains. Port positioning is otherwise excellent as ports are evenly distributed along the left and right edges of the chassis. 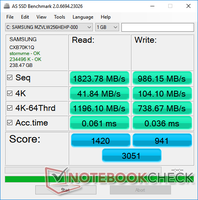 The spring-loaded MicroSD reader is not any faster or slower than the MicroSD reader on the Notebook 9 NP900X3N. 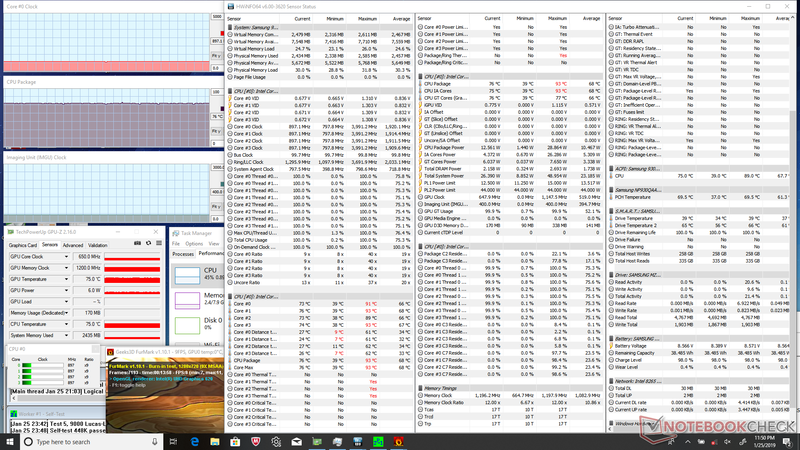 Transferring 1 GB worth of images from our UHS-II test card to desktop takes about 13 seconds compared to almost half that on the Spectre x360 13. 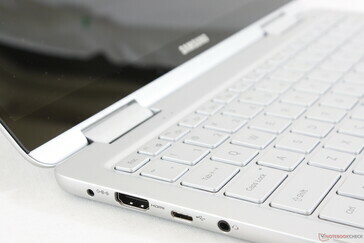 A fully inserted MicroSD card sits flush against the edge of the notebook for safe transporting. The small card is a bit difficult to eject as a result. Samsung has upgraded the Intel 8260 as found on the 2017 Notebook 9 NP900X3N to the Intel 8265 for our Notebook 9 2-in-1. 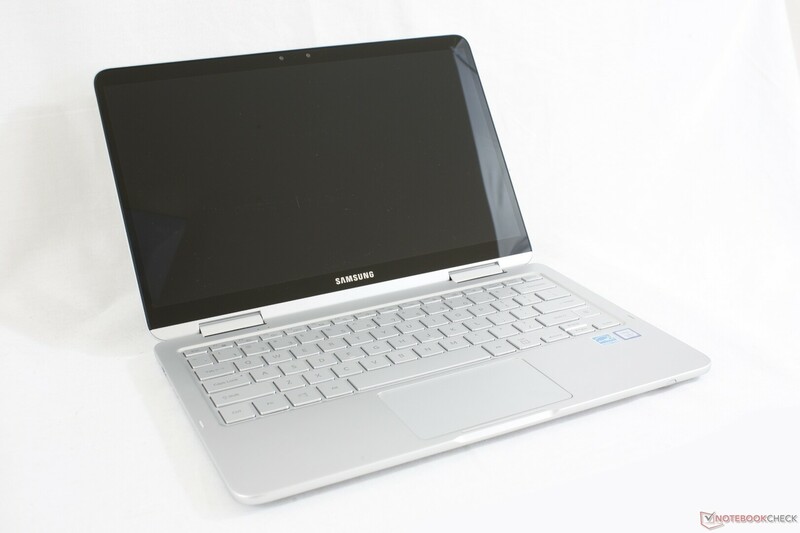 Nevertheless, most Ultrabooks are now shipping with the even faster Intel 9260 for 2x the theoretical transfer rates over our Samsung (1.73 Gbps vs. 867 Mbps). We didn't experience any connectivity issues during our time with the test unit. The bottom panel is secured by four Philips screws hidden underneath the rubber footing. It takes some patience to remove the panel since the latches are tight around the edges and corners. 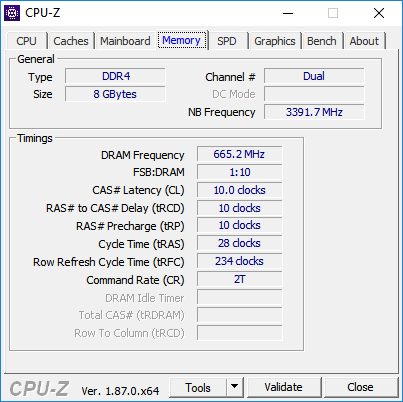 Most components are soldered including the WLAN and DDR4 RAM not unlike on the 2017 NP900X3N. Samsung throws in a small Micro-USB to USB Type-C adapter free of charge. A cleaning cloth would have been nice as well since the touchscreen will inevitably collect fingerprints. It's worth noting that the included 45 W AC adapter is the exact same adapter that comes with the 13.3-inch Notebook 9 NP900X3N. The standard one-year limited warranty applies. 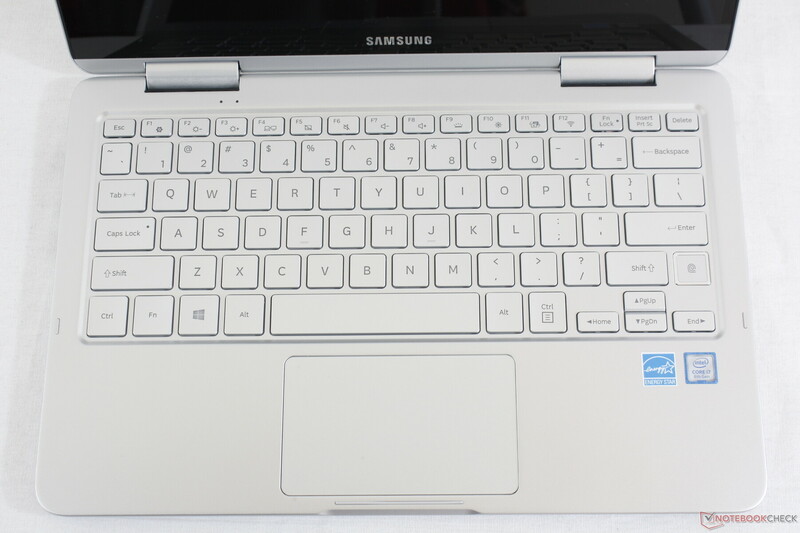 Keyboard layout is identical to the NP900X3N including the dedicated fingerprint reader adjacent to the Enter key. We suspect that future revisions of this chassis will incorporate a power-fingerprint reader combo much like on the XPS 13 or MateBook X Pro. Key feedback is surprisingly firm with deeper travel than most other Ultrabooks including the XPS 13 and MateBook 13. Conversely, clatter is a bit louder and more high-pitched than on the Dell. The overall typing experience is excellent so long as users don't mind the clatter. The signature teal-green backlight returns in contrast to the white backlight on many competing Ultrabooks. 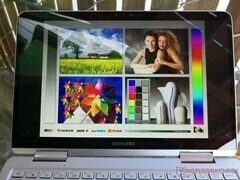 Samsung claims that the teal-green color is easier on the eyes when working in dimly lit environments. The drawback, however, is that it's not as bright as a white backlight even when on the maximum brightness setting. 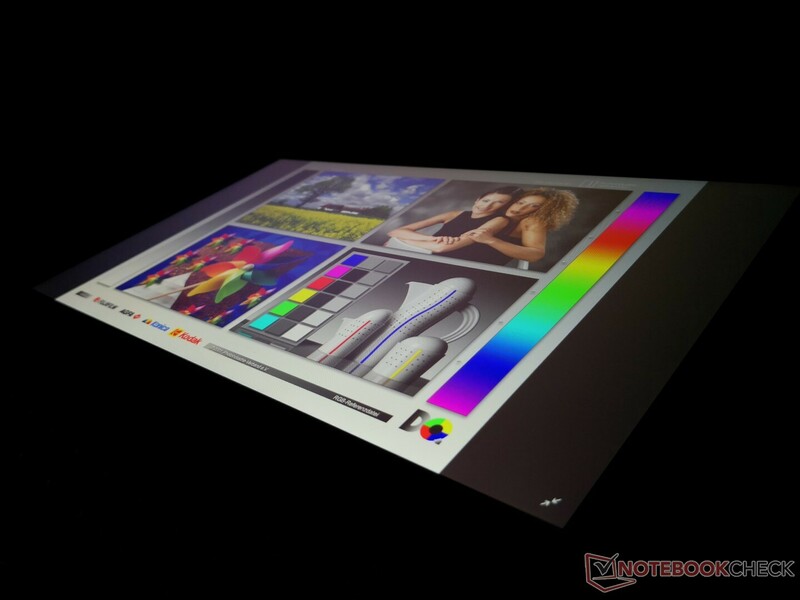 The precision-enabled clickpad is exactly same size as on the NP900X3N (10 x 6 cm). It's much smaller than the clickpad on the MateBook 13 (12 x 6.5 cm) and so multi-touch inputs can feel cramped. Fortunately, glide is smooth with no sticking even when moving slowly for excellent cursor control. 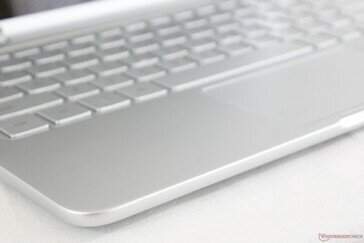 Cursor jumping, however, occurs more often than we would like when using multi-touch inputs. The integrated mouse keys have a loud audible click when pressed with shallow and firm feedback. 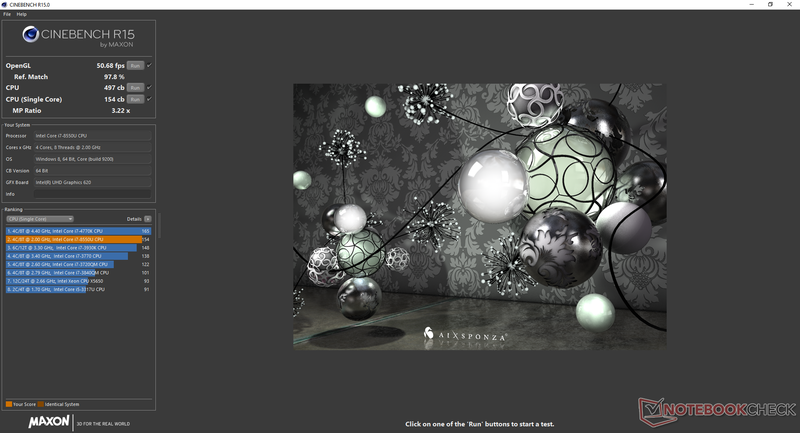 In fact, we find the feedback to be firmer and louder than on the Spectre 13 or XPS 13. 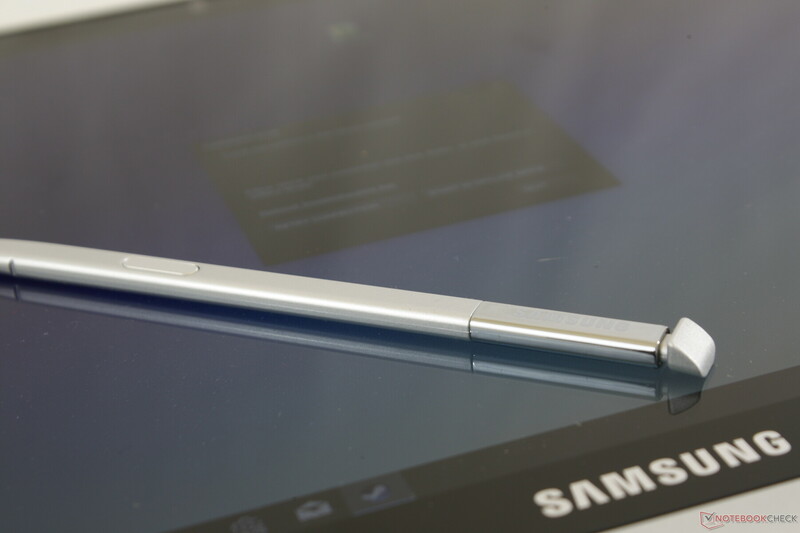 Nonetheless, the tendency for the cursor to jump impacts accuracy and the small clickpad surface area forces users to rely on the S Pen and touchscreen instead for longer sessions. Speaking of the S Pen, we find it much too thin to comfortably grip for long periods especially when compared to the Surface Pen. It's small size is acceptable for smartphone use, but we expected more from a convertible laptop. The S Pen is thus best for short and occasional use only and not for fast note-taking sessions or lengthy classes. 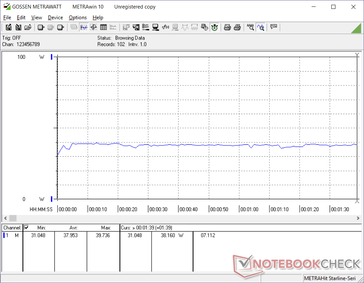 Our Notebook 9 2-in-1 utilizes a very similar panel from BOE as the 2017 Notebook 9 NP900X3N. 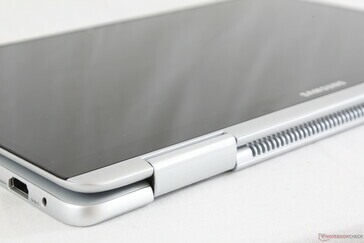 This time, however, the display is touchscreen and pressure sensitive with the included S Pen stylus. 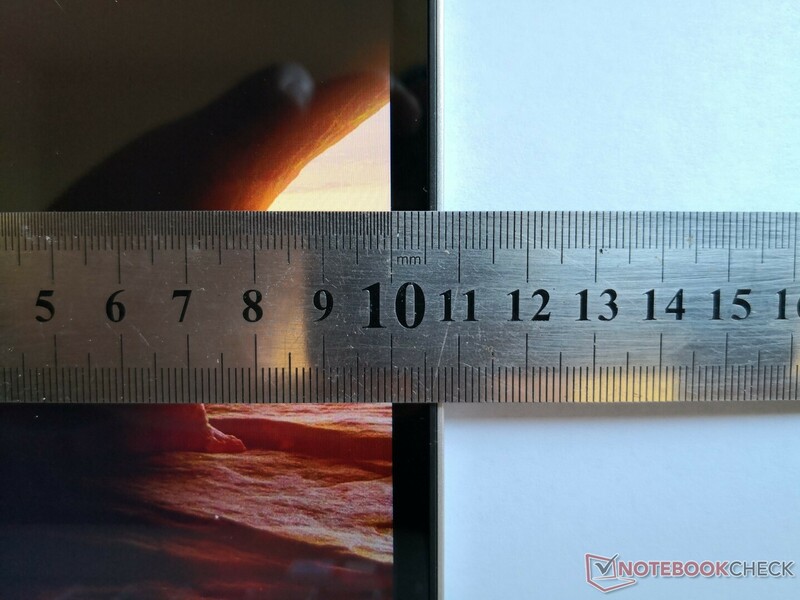 The edge-to-edge glass coating feels thinner here and less resilient than the displays on most tablets or the Spectre x360 13. Display impressions and properties are otherwise similar to the Notebook 9 NP900X3N. 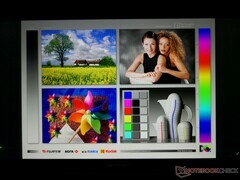 Brightness, color coverage, and contrast are nearly the same between the two laptops. One notable area of improvement is pulse-width modulation as its frequency is now much higher to impact fewer users who may be sensitive to onscreen flickering. We would have preferred it to be absent completely, but this is at least a step in the right direction. 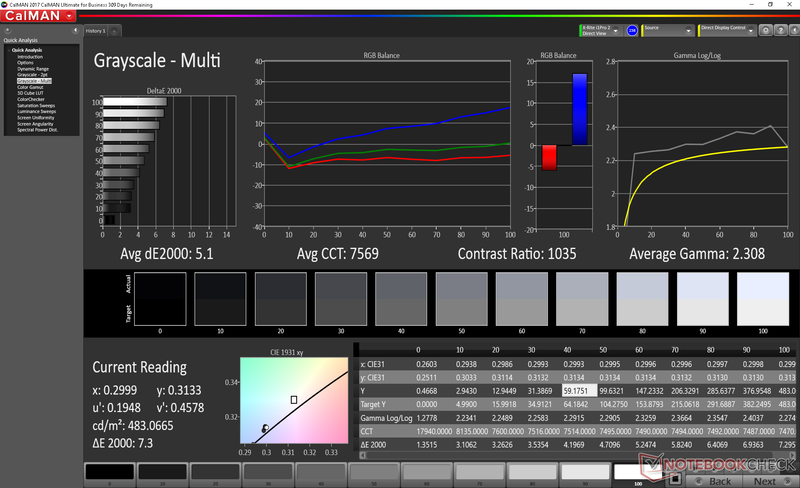 Speaking of brightness, the "Outdoor Mode" toggle returns to bump the backlight to a measured maximum of 473 nits for improved outdoor visibility. If toggled off, maximum brightness is only 350 nits. The results here are significantly brighter than the competing Spectre x360 13, XPS 13 2-in-1, and Lenovo Yoga C930 even though contrast suffers just a bit. Remember to disable 'Display Power Saving Technology' in order to take full advantage of the maximum backlight setting when running on batteries. 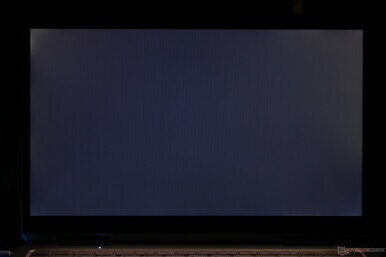 Slight uneven backlight bleeding is present around the top corners of our unit as shown by the picture below. It's mostly unnoticeable even if viewing video with black borders. Color space covers approximately 91 percent and 59 percent of the sRGB and AdobeRGB standards, respectively. 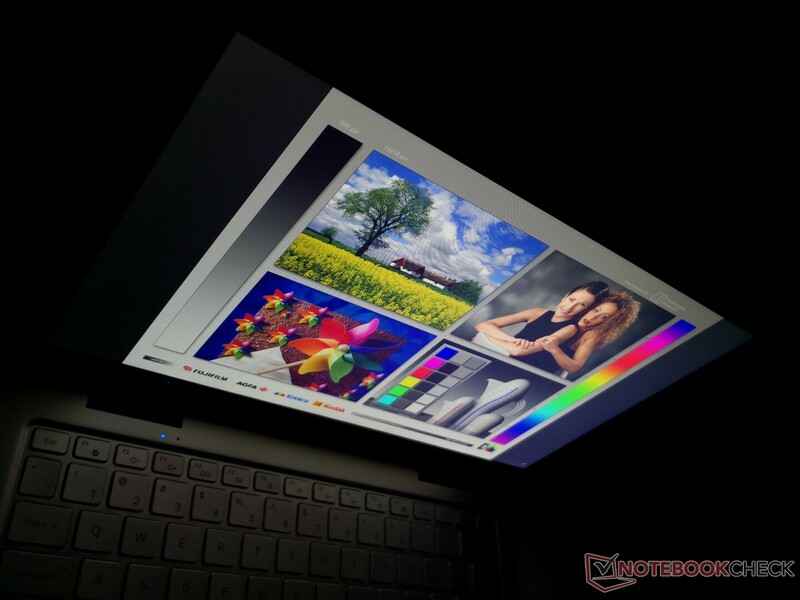 While significantly better than budget panels where 60 to 70 percent sRGB is common, users who want full sRGB coverage may want to consider the HP Spectre x360 13 instead. Colors are fairly accurate out of the box, but color temperature is on the cool side and grayscale could have been better. 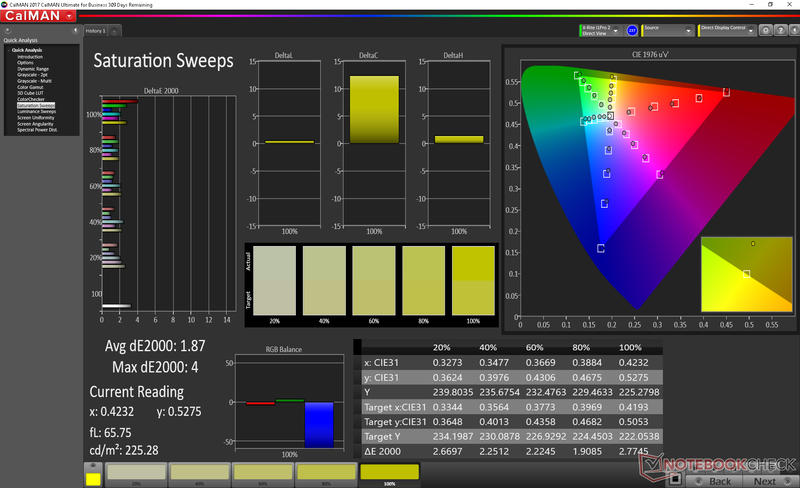 Our calibration addresses these issues for a more color-accurate display overall. 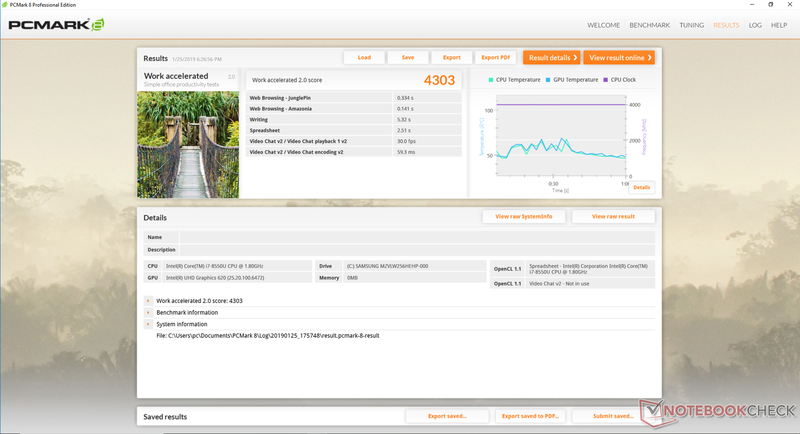 We recommend applying our ICC profile to get the most out of the panel. In comparison, all tested devices range from 0.9 (minimum) to 636 (maximum) ms. » 82 % of all devices are better. 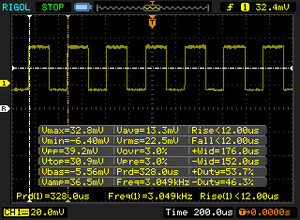 The display backlight flickers at 3049 Hz (Likely utilizing PWM) Flickering detected at a brightness setting of 99 % and below. There should be no flickering or PWM above this brightness setting. 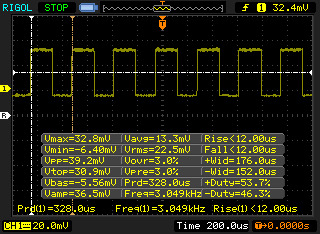 The frequency of 3049 Hz is quite high, so most users sensitive to PWM should not notice any flickering. 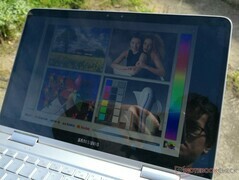 Outdoor visibility is good when under shade because of the strong backlight. 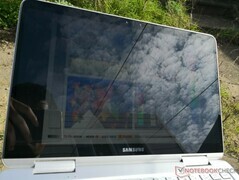 Direct sunlight, however, will still wash out the screen and accentuate glare. If outdoor visibility is of utmost importance, then users may want to consider the HP EliteBook x360 830 G5 and its 1000-nit display. Viewing angles are otherwise excellent as one would expect from an IPS panel. Contrast changes just slightly if viewing from very obtuse angles. 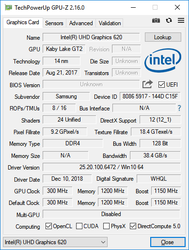 The Kaby Lake-R Core i7-8550U and integrated UHD graphics 620 GPU are commonplace on mainstream Ultrabooks. 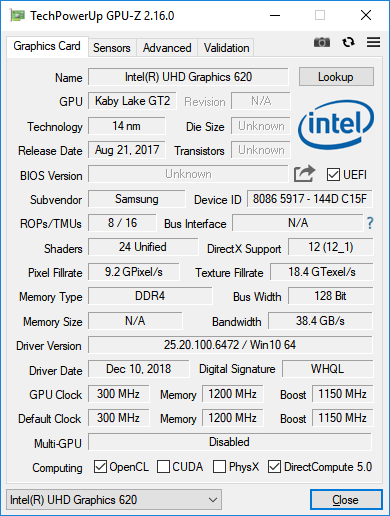 Samsung has yet to make the transition to Whiskey Lake-U as of this writing, but we're not too concerned since the raw performance benefits over Kaby Lake-R are minimal at best. 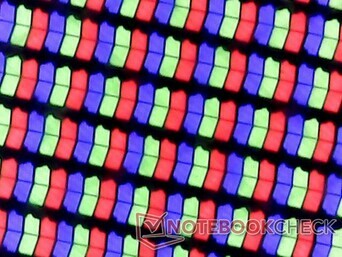 Users who want dedicated graphics options may have to consider giving up the convertible form factor for a more traditional 13.3-inch Huawei MateBook 13 or Asus ZenBook UX333. 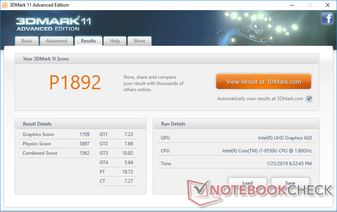 The Core i7-8550U in the Samsung is about 13 percent slower than the average i7-8550U in our database taken from a sample of 70+ other laptops. 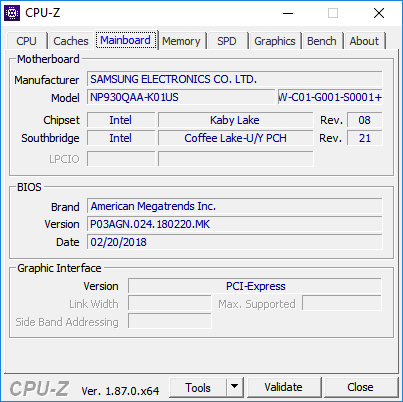 As a more extreme example, the XPS 13 with this same CPU is able to outperform our Samsung by 29 percent in multi-threaded workloads. 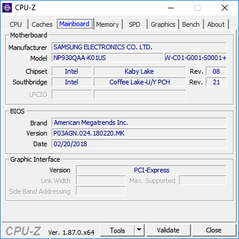 While still faster than the last generation i5-7200U in the 2017 Notebook 9 NP900X3N by over 50 percent, Samsung's implementation of the i7-8550U here is substandard. 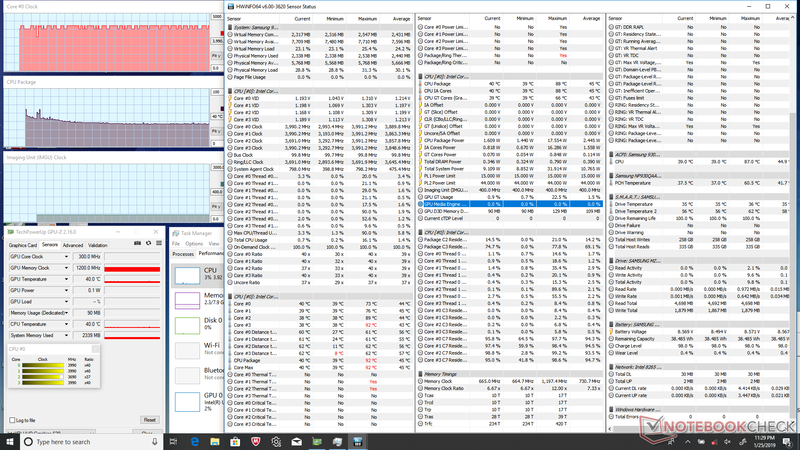 We can observe why performance is so much lower than expected by running CineBench R15 Multi-Thread in a loop. 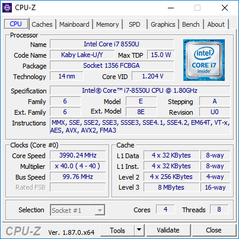 The initial score of 530 points steadily drops to about 449 points for a performance loss of 15 percent due to thermal throttling. 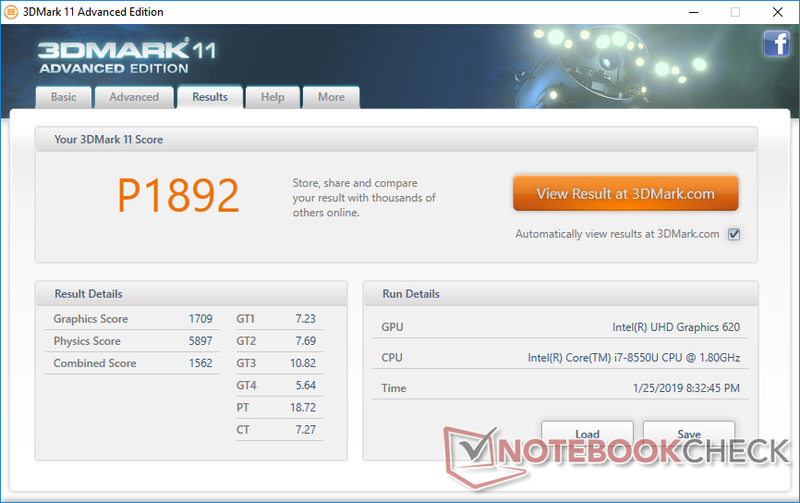 The XPS 13 with the same CPU is able to maintain faster clock rates albeit at warmer core temperatures than our Samsung. Since this is a convertible, we can understand why Samsung veered towards lower temperatures instead of maximizing Turbo Boost performance. 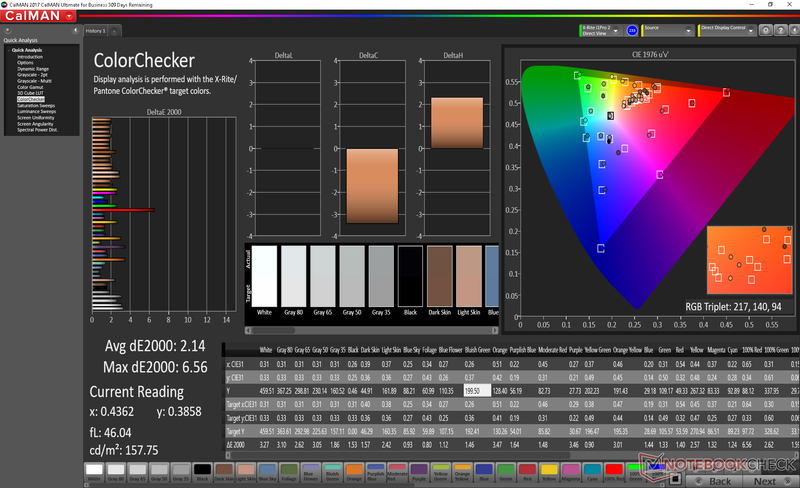 PCMark 10 results are consistently higher than the last generation NP900X3N albeit just slightly. 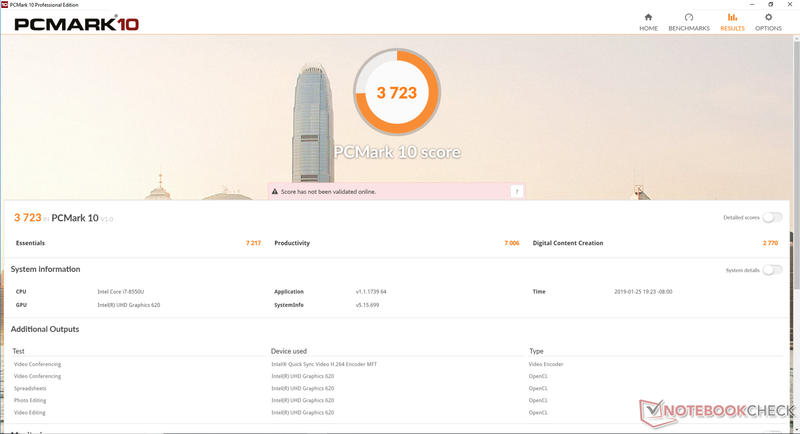 Ultrabooks with dedicated graphics, such as the Huawei MateBook 13, score much higher in Digital Content Creation where the extra GPU power is put to good use. We did not experience any crashes or performance abnormalities during our time with the test unit. 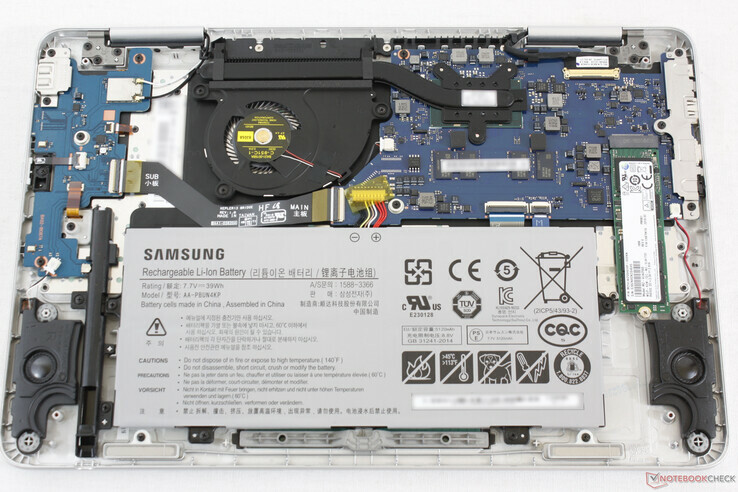 Naturally, the Samsung laptop is equipped with a Samsung SSD. 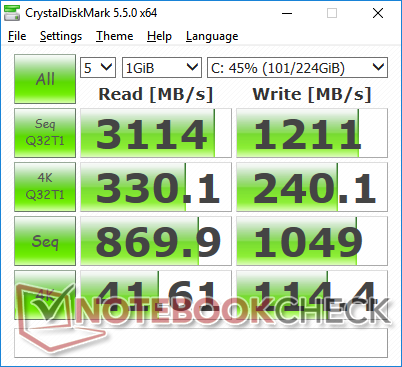 This same PM961 SSD model can also be found on many other high-end laptops including the MS GS73 and Lenovo ThinkPad T480s. Transfer rates are significantly better than the SATA III-limited Samsung CM871a in our 2017 Notebook 9 NP900X3N but still almost twice as slow as the pricier Samsung PM981. 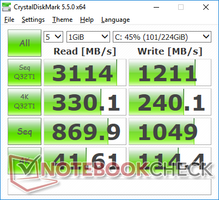 Users can swap out the M.2 SSD without needing to puncture any stickers or warranty labels. The common integrated UHD Graphics 620 holds no surprises here. Performance is within 5 percent of the average UHD Graphics 620 taken from our database of over 100 different laptop samples. Owners of older laptops equipped with the HD Graphics 620 aren't missing much as the gen-to-gen performance gain is extremely small. 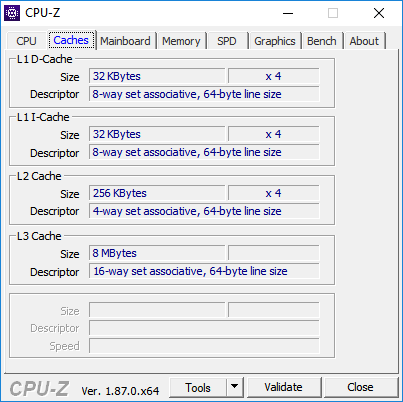 While we can understand why Samsung may want to exclude any discrete GeForce options to keep the weight low, it's too bad that there are no AMD Ryzen options. The integrated RX Vega 8 offers over 100 percent faster raw GPU power than the Intel solution. 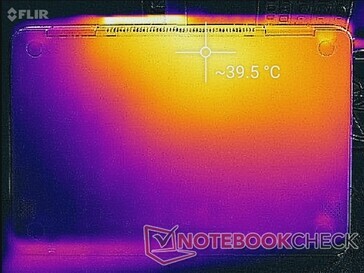 The cooling solution appears to be identical to the 2017 NP900X3N. 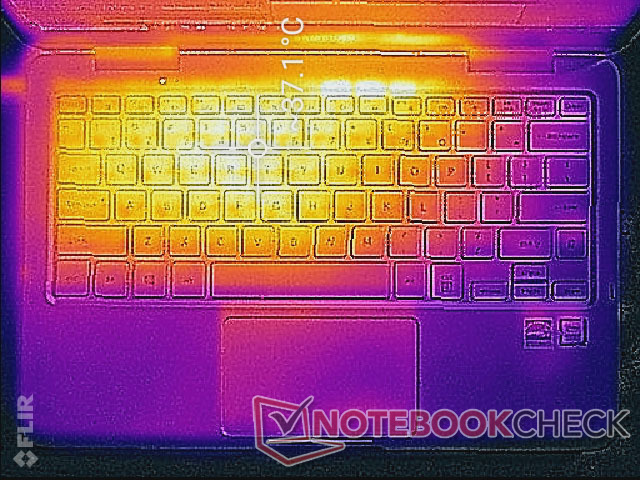 In order to keep weight low, the heat pipe is much shorter than on most other laptops. Fan noise and behavior remain unchanged from the NP900X3N. The convertible is silent during low loads like browsing or video streaming and users can expect a fan noise of just under 33 dB(A) during heavier loads not unlike on many competitors. 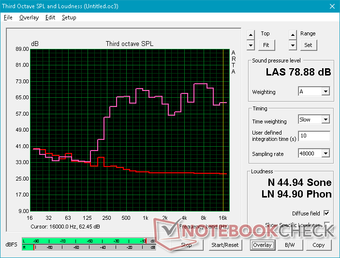 At worst, we are able to record a fan noise of 36.7 dB(A) only when installing software or updates or running benchmarks. Our unit suffers from no noticeable electronic noise or coil whine. 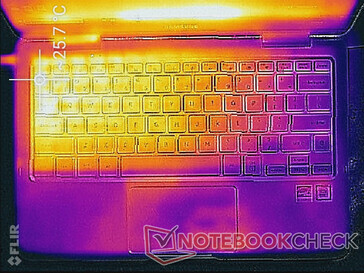 Surface temperatures are flat when idling with the left half of the laptop being slightly warmer than the right at all times. 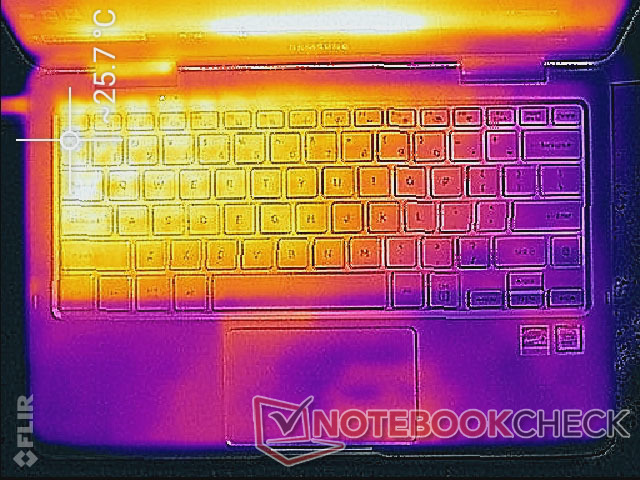 Hot spots can become as warm as 40 C compared to 45 C to 47 C on the XPS 13 or even 50 C on the Spectre x360 13. 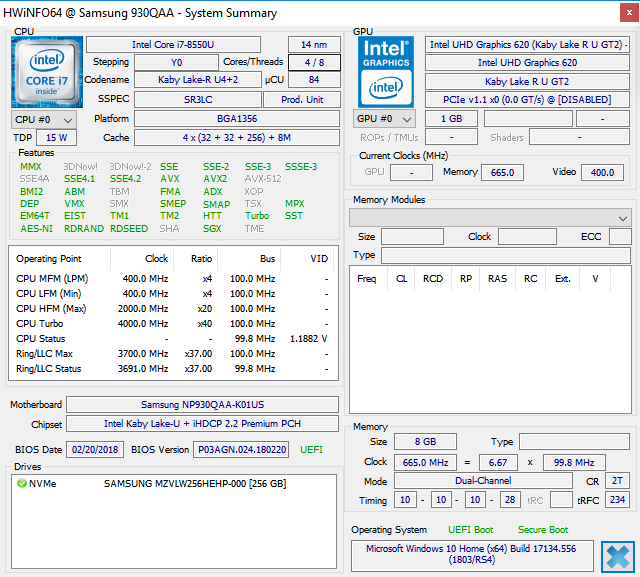 The cooler CPU temperature and more reserved clock rates of the Samsung definitely give it the advantage in this regard. The palm rests remain cool for comfortable typing no matter the processing load. 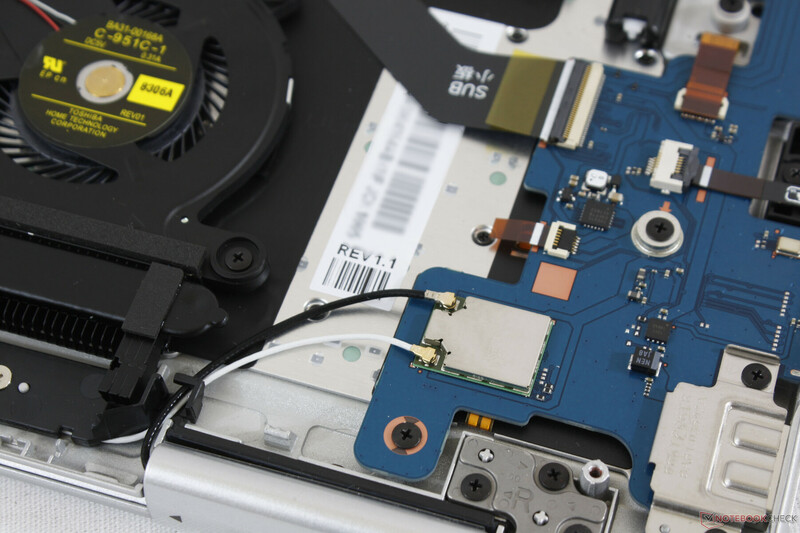 We stress the laptop with synthetic loads to identify for any potential throttling or stability issues. 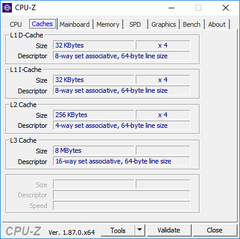 When subjected to Prime95 load, core clock rate can be as high as 3 GHz for the first few seconds before reaching a core temperature of 93 C. Afterwards, clock rate steadily drops to 1.9 to 2 GHz for a cooler core temperature of 75 C. This behavior mimics our CineBench R15 loop test above where scores are highest only during the first few loops before clock rates inevitably fall and stabilize over time. 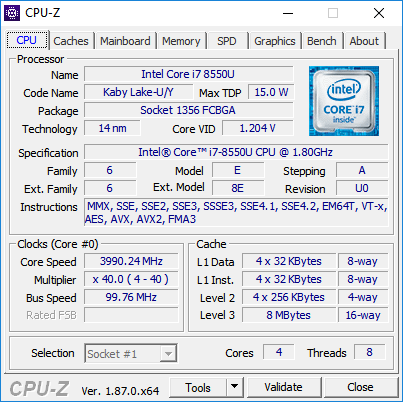 Since the base clock rate of the Core i7-8550U is 1.8 GHz, we're a bit disappointed that the convertible is only able to maintain a Turbo Boost of just +100 to 200 MHz. 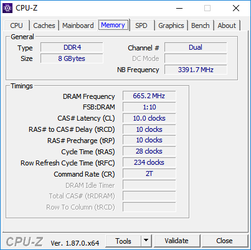 CPU performance is slightly lower when running on battery power. A 3DMark 11 run on batteries returns Physics and Graphics scores of 6481 points and 1721 points, respectively, compared to 5897 and 1709 points when on mains. The stereo 1.5 W speakers are better than we were anticipating from a 13-inch convertible. Audio is balanced with decent bass reproduction and no static considering the small size. Maximum volume is loud enough to fill a small room, but it will vibrate the palm rests slightly. The system demands anywhere between 4 W and 16 W when idling on desktop depending on the brightness setting and Power profile compared to 10 W at most from its closest competitors. 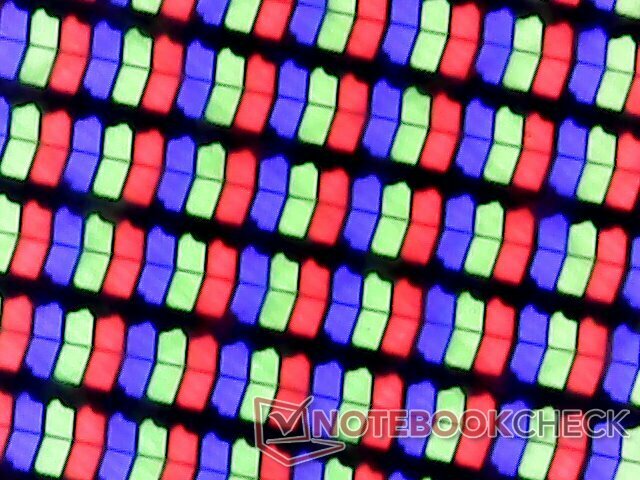 The higher demand can be attributed to the bright "Outdoor Mode" backlight as the difference between minimum and maximum brightness is almost 7 W. When gaming or running very high loads, consumption remains higher than than the competing Spectre x360 13 with the same CPU. 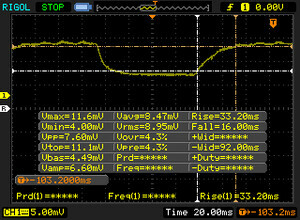 We are able to measure a maximum consumption of 39.8 W from the very small (~6 x 6 x 3 cm) 45 W adapter. 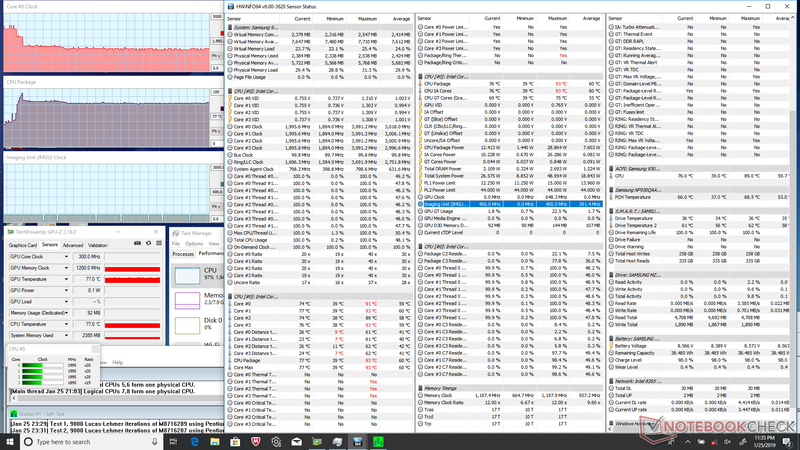 This is unsustainable, however, as consumption eventually drops and stabilizes at 29.5 W due to performance throttling as shown in our CineBench R15 loop test above. 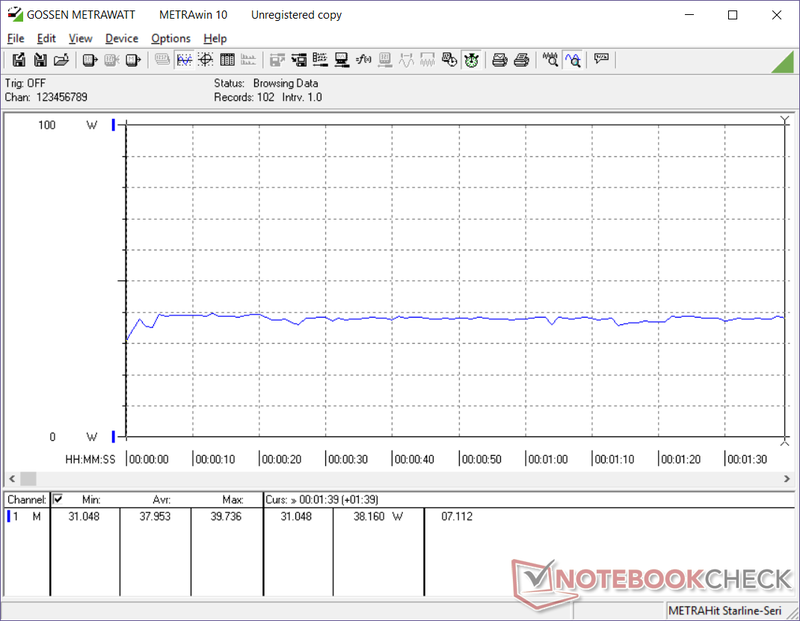 The Notebook 9 NP930QAA continues the series trend of small battery capacities. 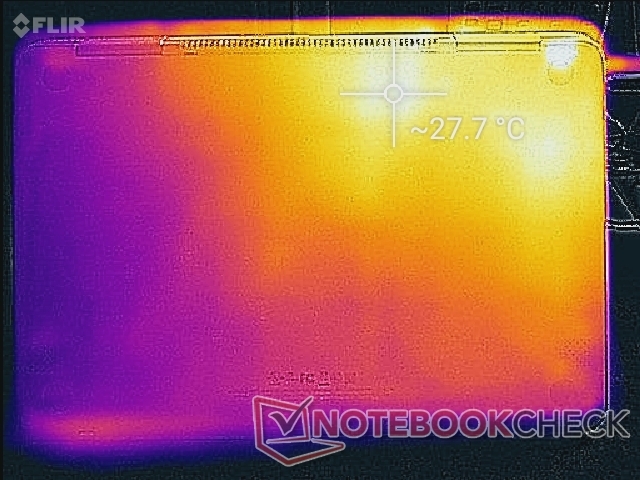 At just 39 W, the battery in our Samsung 2-in-1 is significantly smaller than the 60 Wh and 54 Wh batteries as found on the Spectre x360 13 and ThinkPad X1 Yoga, respectively. We can at least applaud Samsung for upping the battery capacity when compared to the 30 Wh pack in the Notebook 9 NP900X3N. Battery life is average at 6.5 hours of real-world WLAN use. 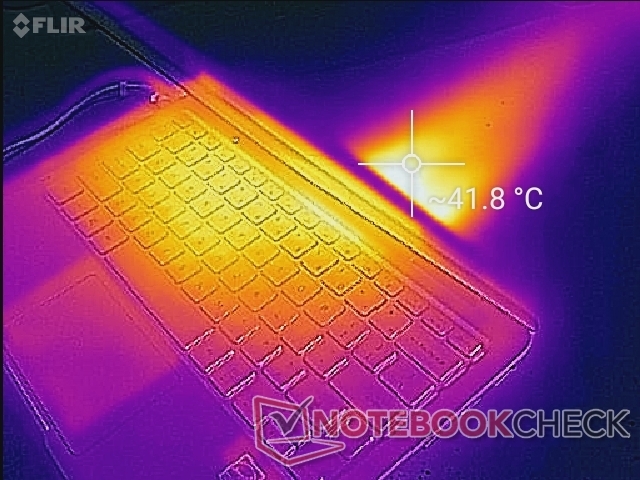 In comparison, the aforementioned HP and Lenovo laptops can last for 9 to 11 hours each when subjected to similar testing conditions. Charging from empty to full capacity with the included AC adapter takes about 2 hours. 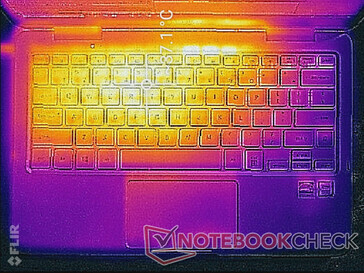 The biggest reasons to own a Notebook 9 Pen NP930QAA over alternatives like the HP Spectre x360 13 or Lenovo Yoga C930 are its integrated S Pen, very bright display, and extremely light weight. 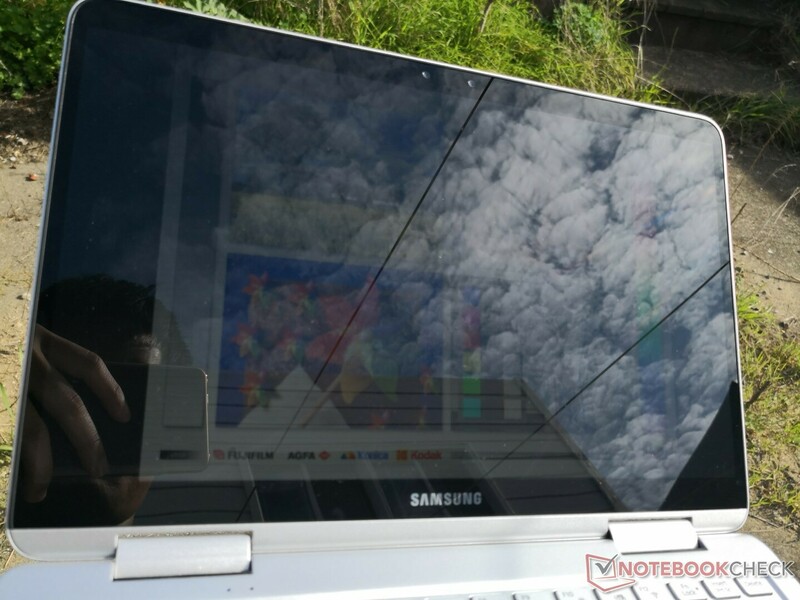 Users who frequently work while traveling or on-the-go will find the Samsung to be more versatile than the popular XPS 13 or Spectre series. 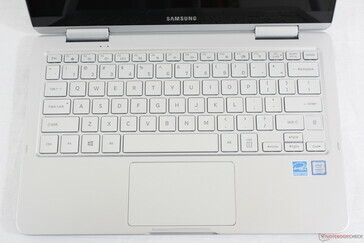 Samsung had to cut some corners in order to make such a lightweight convertible. 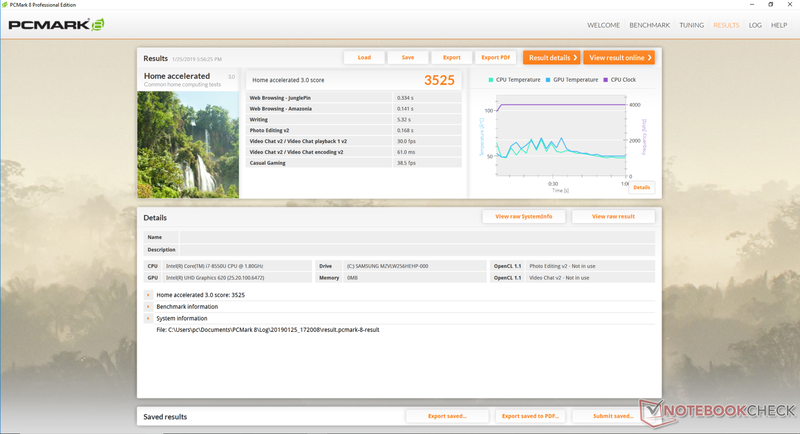 Since the cooling solution is so small, CPU Turbo Boost performance is limited and below average. Components and SKUs are also limited as RAM and WLAN are soldered and non-upgradeable. Battery capacity is smaller than usual for shorter battery life than the competition. 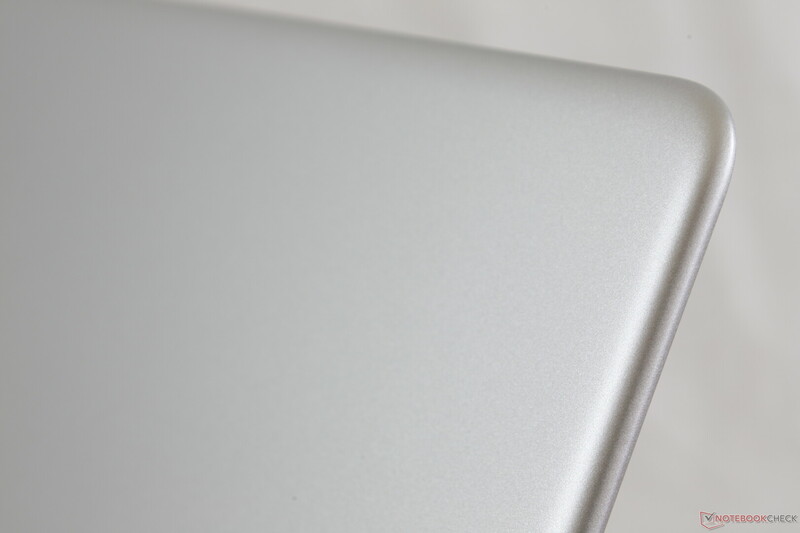 Lastly, the base and lid are slightly more flexible than the Spectre 13, Zenbook UX333, or Blade Stealth. These are sacrifices that potential owners will have to keep in mind if they want the versatility of the Samsung convertible. One aspect that we think the Notebook 9 Pen NP930QAA could have been better at is its S Pen. The stylus is just far too small and narrow for comfortable use. Taking notes on this machine for class or otherwise is significantly more cumbersome than on the Surface Pro, EliteBook x360, or even the Yoga C930. 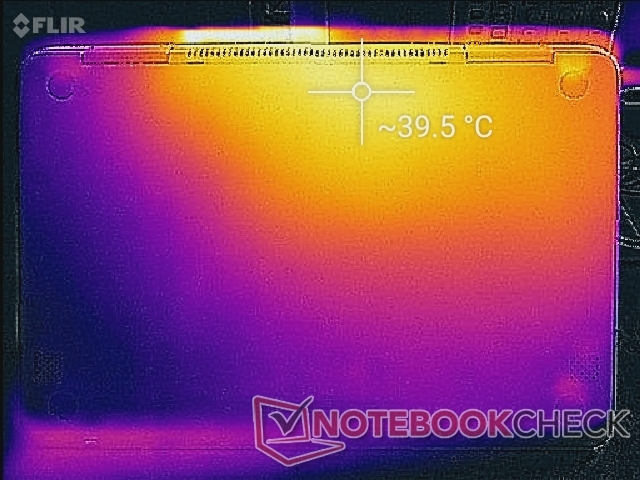 If you intend to use the NP930QAA as a note-taking workhorse, then we recommend trying out the S Pen first before committing to the $1300 purchase. 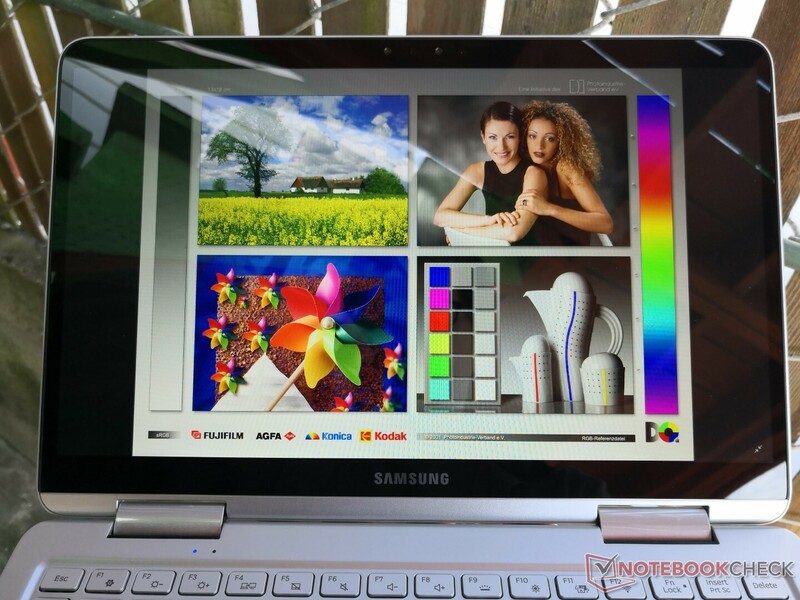 Brighter and lighter than many competitors in the market today, the versatile Samsung Notebook 9 Pen NP930QAA is an almost perfect travel companion for outdoor use and constant travelers. 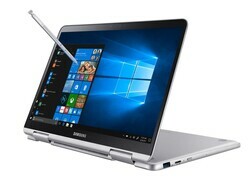 The small and uncomfortable S Pen puts a huge damper on the system compared to the stronger and larger styluses of the Surface Pro, EliteBook x360, or Yoga C930.